We purchased this 300c with front end damage. The vehicle has since been fully repaired and inspected.We have put over 500 enjoyable miles on this vehicle since the engine/trans swap. CLICK THIS LINK TO SEE PHOTOS OF THIS 300 FROM THE TIME WE RECEIVED IT, TILL NOW. This 300 SRT-8 features the awesome 6.1L HEMI which produces 425HP and 420ft-lbs of torque! Mated to the 6.1, putting the power to the wheels, is the stout W5A580 5-speed automatic transmission. This SRT-8 model 300C is optioned out with all of the performance and luxury components that you expect from the SRT brand. All four corners of the car feature Brembo brakes. The interior of the car features full power black leather and suede seats, sunroof, navigation unit, hands free calling, kicker speakers, and much more. 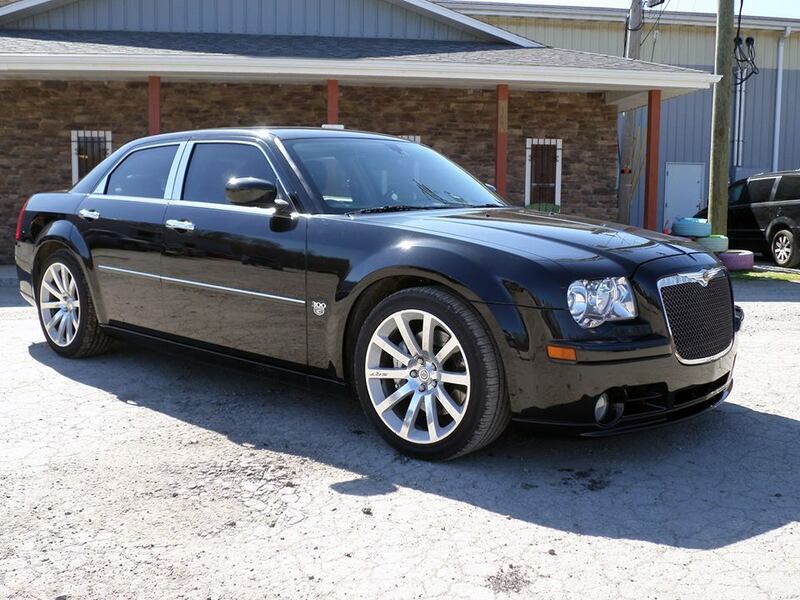 This 300C is sitting on all four factory SRT-8 20″ rims.